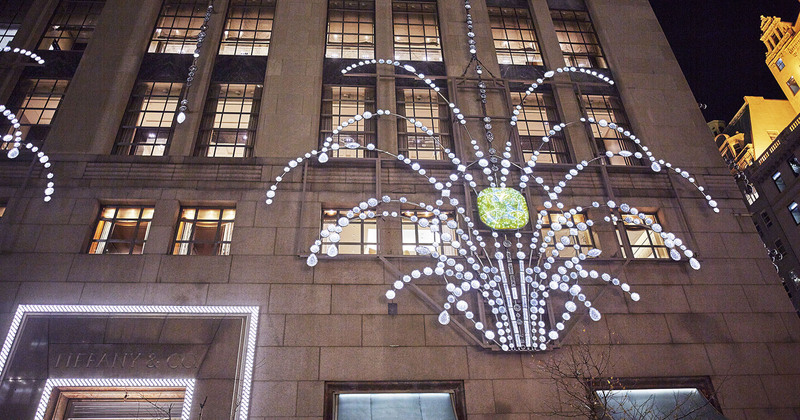 The idea: create an eye-catching display for the façade of Tiffany & Co.’s infamous flagship store in Manhattan. 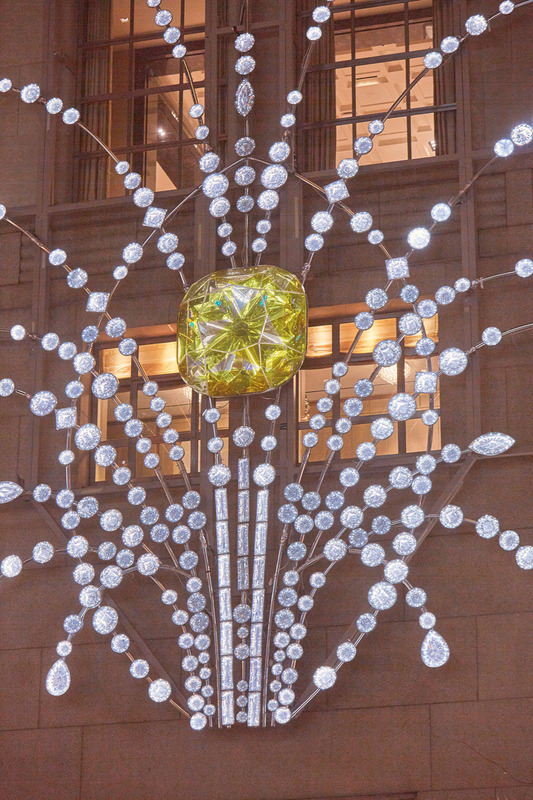 The festive display would be annually installed at the highly-trafficked intersection of 57th Street and 5th Avenue at the start of every holiday season for at least five years. 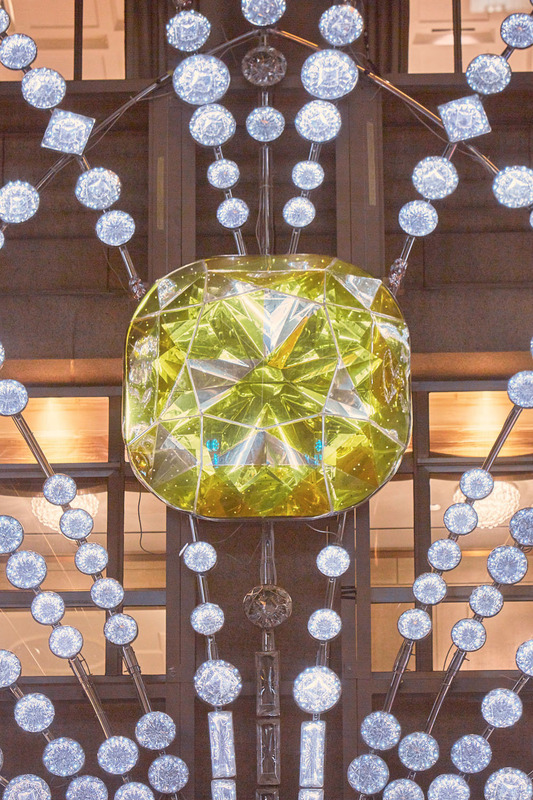 The striking motif featured a replica of the Tiffany Yellow Diamond and setting showcased at the 1939 World’s Fair. 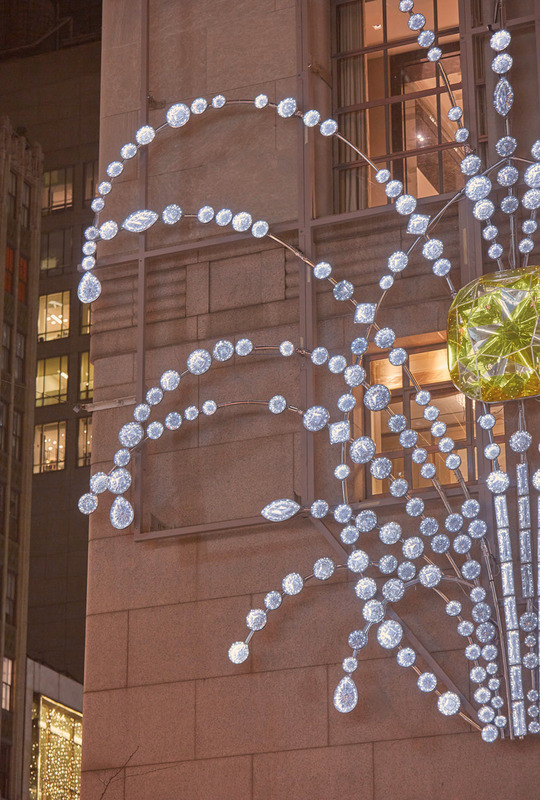 Tasked with helping bring the vision of Tiffany’s Creative Director to life, we consulted on the design, installation, materials, and LED lightshow display. We also helped navigate logistical challenges, including how to engineer the diamond to withstand 50,000 lbs. of snow, ice and 125 mph winds. 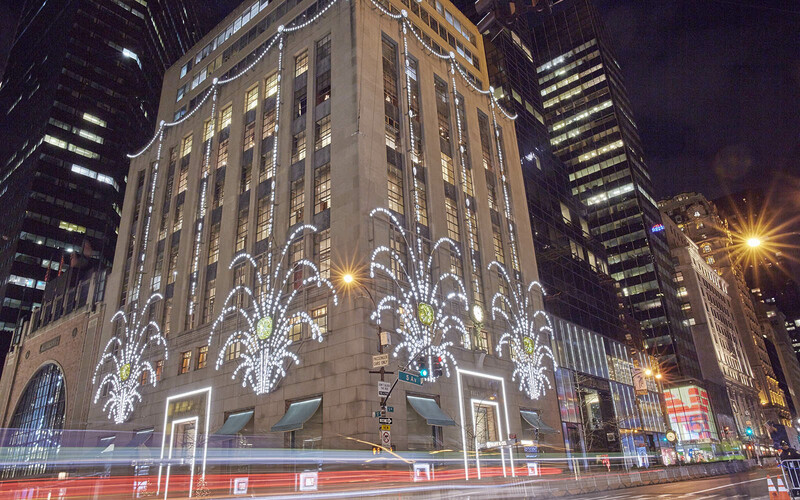 The building, an architectural gem at over 100 years old, is landmarked. Our design solution had to preserve the integrity of the building’s original aesthetic, and prevent the building from sustaining permanent damage.